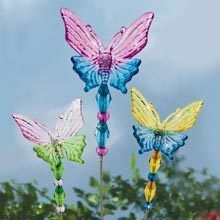 Blingful butterflies for the garden! 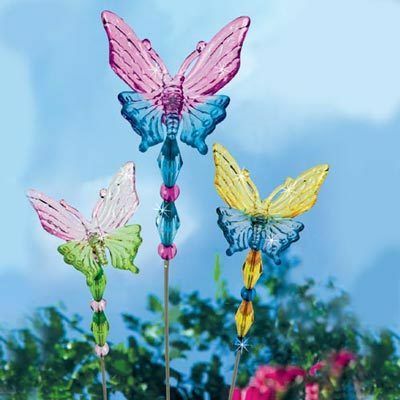 Shimmering mini butterfly plant stakes feature a two-tone butterfly at the top with faceted beading accents on the stem. 13" h. Set of 3. Hurry! Quantities are limited!